The traditional French spice mix of pepper, clove, nutmeg and ginger in a soft caramel ensures perfect harmony; it’s a real favorite. This nougat is made of honey and you can taste it! A real friend for anyone who enjoys dark or milk. 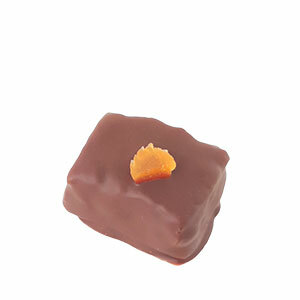 The fresh ginger in this chocolate ganache gives a nice bite to this chocolate. Delicious with tea or a nice conclusion to an Asian dinner . An Italian distilled drink made from grapes. A perfect conclusion to an Italian meal. Delicious with an intense espresso. This lactose-free chocolate is made with fresh cranberries. 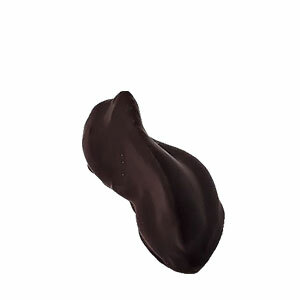 A delicious intense fruit flavor combined with dark chocolate. A good companion for an ice cream dessert. Cardamom is rich in iron and has the taste of bergamot, lemon and camphor. Ideal combination with chocolate. Children love it. 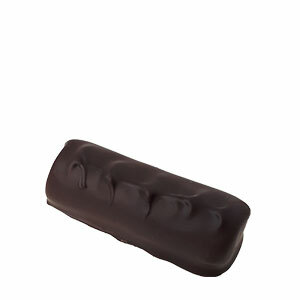 a real winter chocolate, the sweet notes of caramel in combination with the intense spicy bitter liqueur Palo, from Ibiza . Even the non-caramel fans love this! An absolute favourite. With fresh orange juice and a touch of clove. Directly from a farm in France, this lavender is picked by hand every year. Together with a touch of violet liqueur… a true taste sensation for the connoisseur. 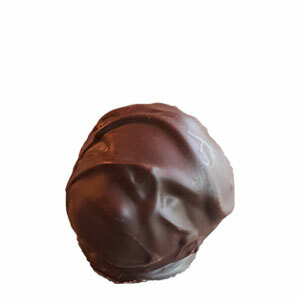 This exotic bonbon is filled with a spicy blend from Indian cuisine. A very mild taste with a hint of sweetness. Laos is the lesser known relative of the ginger. 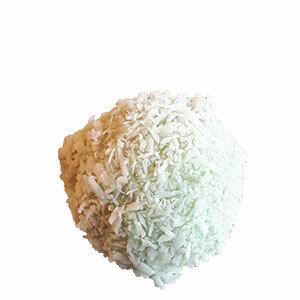 A nice bite with the beautiful sour notes of the tamarind tree in creamy coconut cream. A real taste experience. Days soaked in port then cooked in grape juice from our very own grapes, the fig compote is homemade. And you can taste that! A spice blend from Moroccan cuisine. 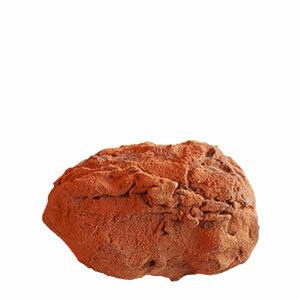 Due to the sweetness of cinnamon and cardamom, this spicy blend is very mild and suitable for children. 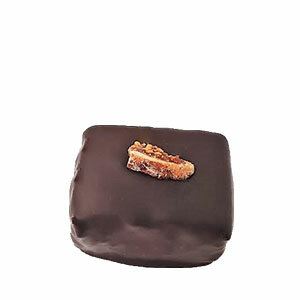 This classic is made with an intense espresso coffee. A real favourite and that is why it is included our range. 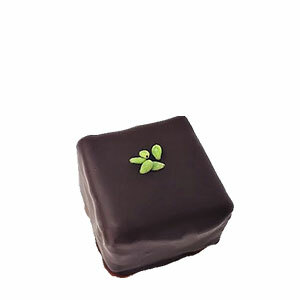 A nice conclusion to every Mediterranean dinner or lunch is this pure chocolate made with fresh rosemary from the garden. Wasabi, a spicy green mustard from Japan, combines surprisingly well with dark chocolate. A soft texture with a little bit of bite. 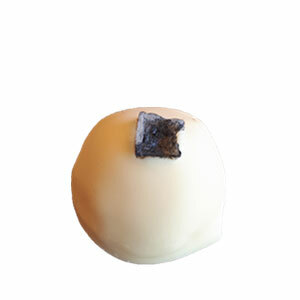 A fresh, fruity bonbon with marzipan which is ideal with tea and makes a lovely accompaniment to a dessert.. 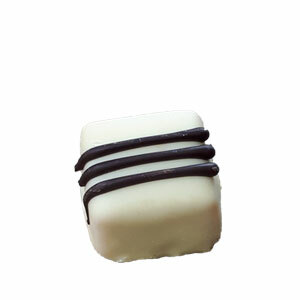 Whiskey in a beautiful pure ganache filling. A treat for next to a strong cup of ( Irish ) coffee . This king among the herbs with its fresh peppery taste , make this chocolate perfectly suited as the conclusion to an Italian dinner. Taragon has a rich taste of pepper, a hint of aniseed and a hint of bitterness. 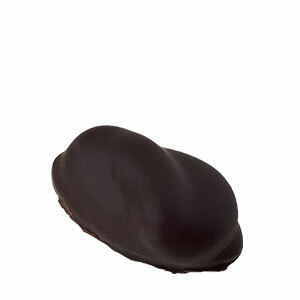 A nice mix with this dark chocolate ganache . A surprising flavor combination of cocoa and nigella (black onion seed from the Indian kitchen , near to oregano in taste ) and thyme. 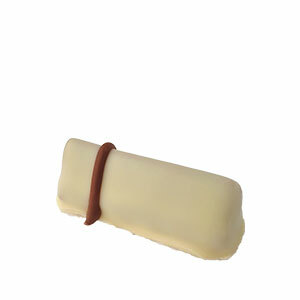 Adventure really exists; taste it in this beautiful chocolate . 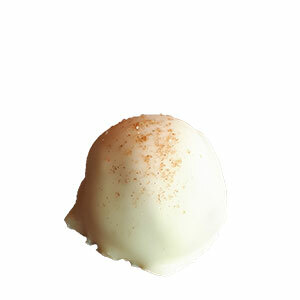 A perfect balance between cocoa and the fresh sour sumac (sour red berry plant) from the Middle East. 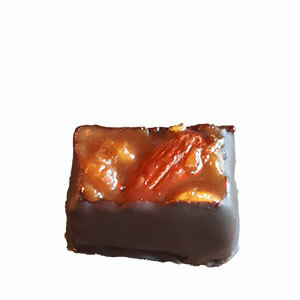 Exotic taste that fits well with fruit tea or a good glass of red wine. The moscatel is a sherry grape with pronounced fruity notes. That’s why this chocolate is a very good companion for desserts of fruit or ice cream. The fresh taste of coriander combined with the earthy flavour of hazelnut. 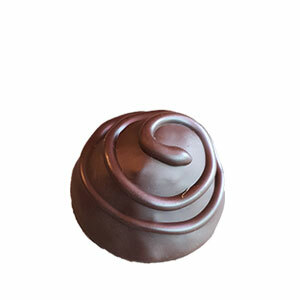 Adventure still exists; taste it in this beautiful chocolate. 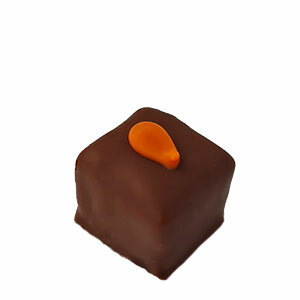 These chocolates are filled with a home made coulis of mango and lime ganache . The ideal taste for the summer. 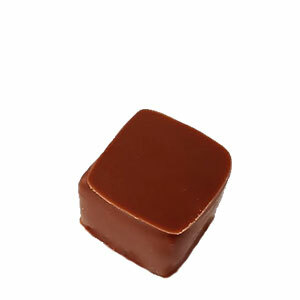 Serve this chocolate with a light tea or a fresh Prosecco / Cava . 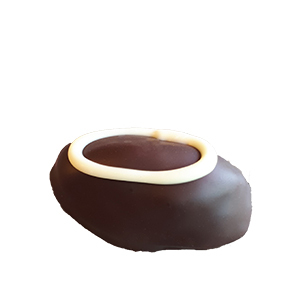 The two traditional tastes from Italy are now together in a pure caramel covered with dark chocolate that makes this caramel less ‘sweet’. Serve with coffee, grappa or an ice-cold limoncello . Yes, we did it! 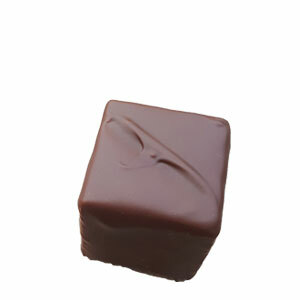 A chocolate with Umami taste. Perfect conclusion to an Asian dinner and delicious accompaniment to a beautiful cup of tea. A taste sensation that must be experienced. East meets West! 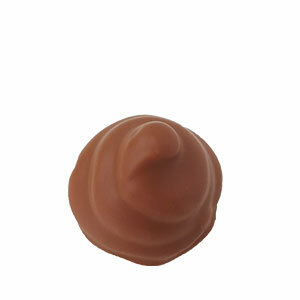 A spicy touch with a hint of Mediterranean in a delicious cream with dark chocolate. 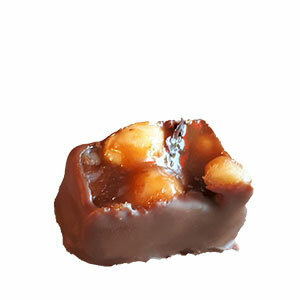 This caramel made with milk chocolate mixed with sherry and raisins is an all round favorite . 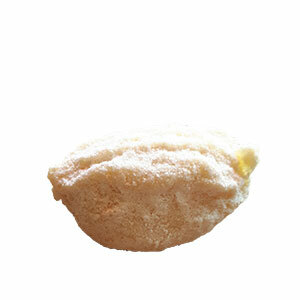 The full taste of cocoa combined with the typical taste of Italian limoncello. The ideal chocolate for hot summer days and the perfect ending to a beautiful Italian dinner. All fruit coulis are self-made, including these. 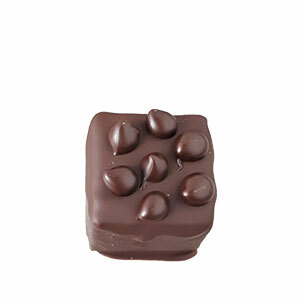 For everyone who likes delicious fruit chocolates, this is a dairy-free variant. 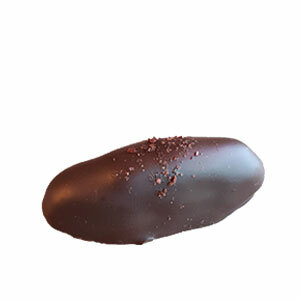 An intense taste of the fresh/sour raspberry with dark chocolate. 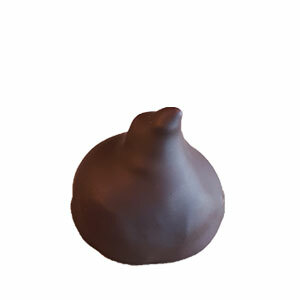 a real winter chocolate, the sweet notes of caramel in combination with the intense bitter liqueur Palo, from Ibiza . Even the non-caramel fans love this! 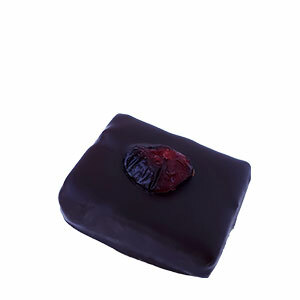 This lactose-free bonbon is made with fresh cranberries. 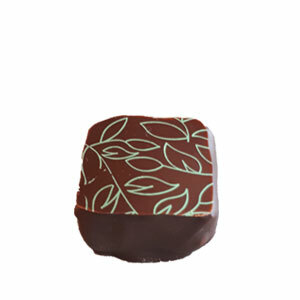 A delicious intense fruit flavor combined with dark chocolate. A good companion for an ice cream dessert. 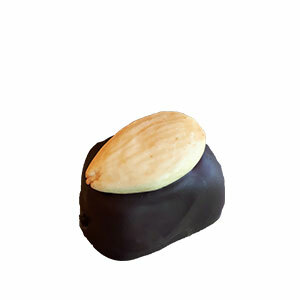 This classic is made with an intense espresso coffee. 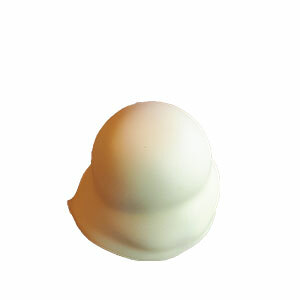 A real everyone’s friend and that is why it is also among our range. Wasabi, a spicy green mustard from Japan, combines surprisingly well with dark chocolate. 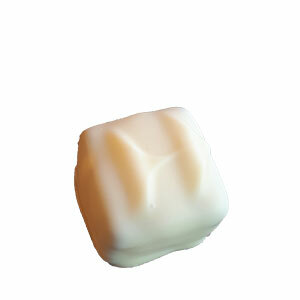 A soft texture with a small bite. 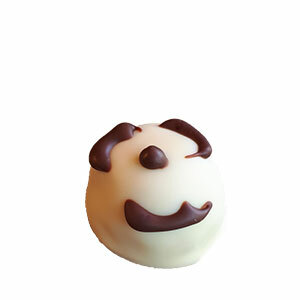 The most famous among the truffles is made from whole organic butter cream and coated with dark chocolate (70%), like a little angel on your tongue …. 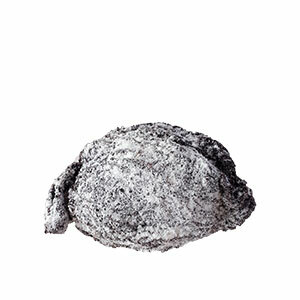 For anyone who wants to enjoy a “zing” in a truffle, this truffle with freshly grated zest of lime is a godsend. Beautiful counterpart to a sparkling aperitif and also great to serve with or after a fresh dessert. 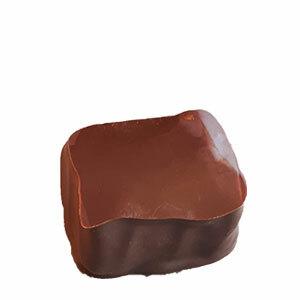 The combination of marzipan with savory goat cheese makes this chocolate the perfect companion to a beautiful glass of red wine, a full, sweet port or vibrant Prosecco. 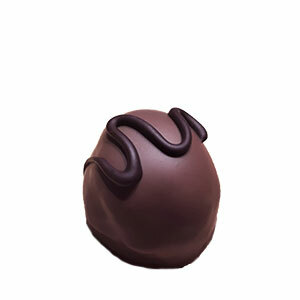 Taste and experience are the two key words for this truffle. The typical Dutch taste; fresh, sour and sweet. 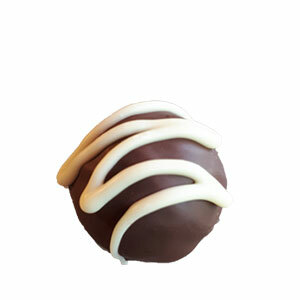 The ultimate counterpart to the creamy whipped truffle. 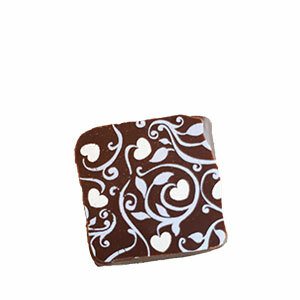 Great chocolate with almost every dinner and also a beautiful companion to a good glass of craft beer. We proudly present this new flavor. 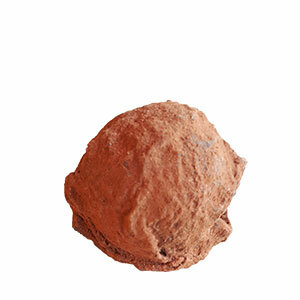 A real autumn/winter truffle. We extract this powerful honey directly from the beekeeper. It forms a beautiful combination with whipped cream. Since the launch of Jackie’s Chocolates, Jackie’s mission has been to create the most ethical, sustainable and delicious handmade chocolates the Netherlands has to offer.